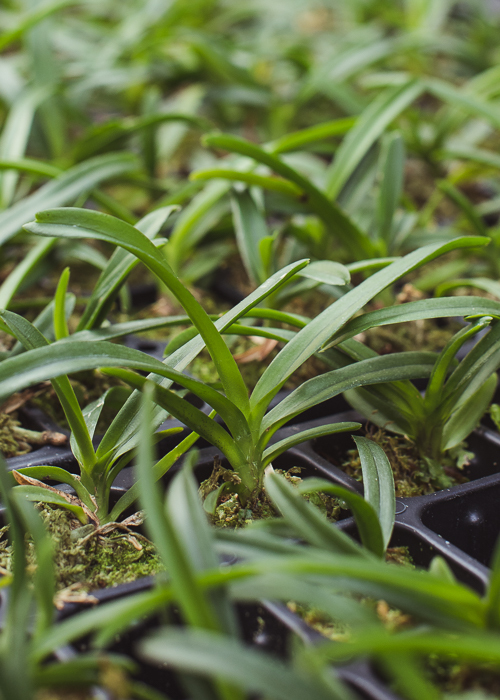 A rack of delicious Coryanthes macrantha seedlings, fresh from the lab. These are going to be good! Stanhopea panamensis flowers smell like wintergreen. Two weeks out of the lab, the seedlings are getting established in trays in a humid low light greenhouse. After about a month, we transfer seedlings to the main growing area in another greenhouse. 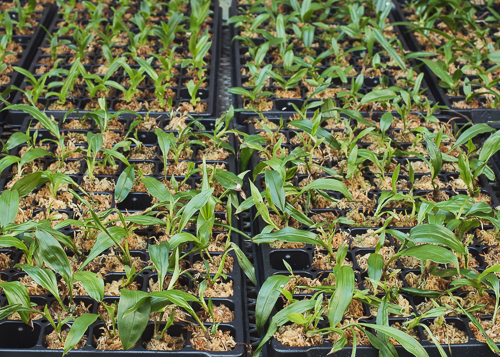 This is a tray of Coryanthes alborosea less than a year old. They will soon be ready for individual pots. 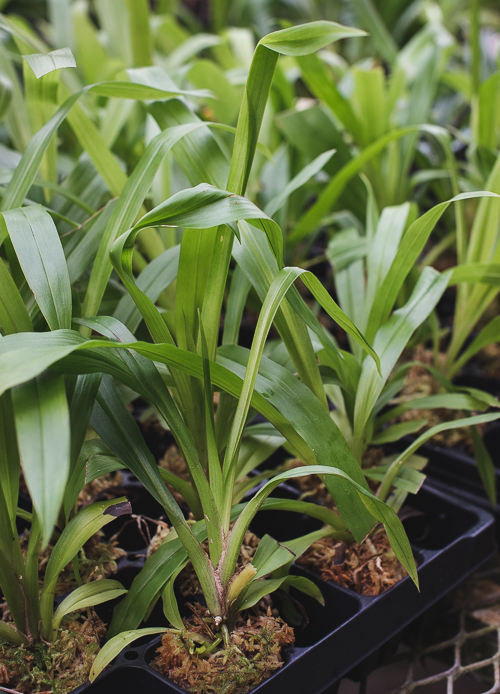 A tasty batch of young Vanda barnesii. 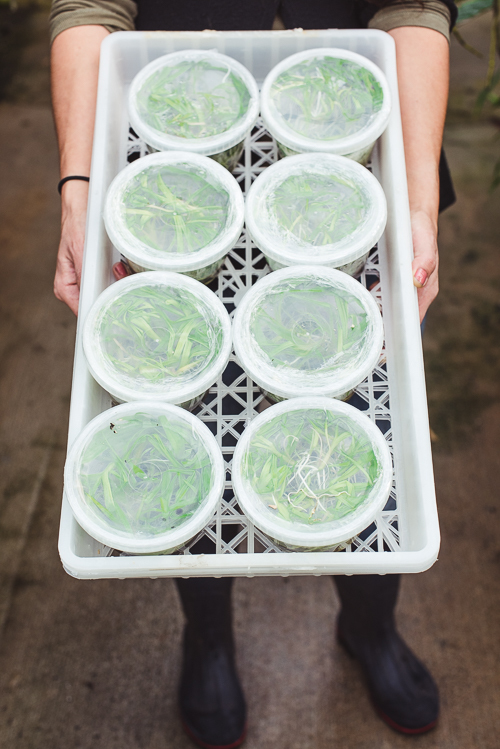 To give them some elbow room as they grow, we remove every other seedling to another tray. Pescatoria coronaria has delectable red violet flowers. Lemon flowers! 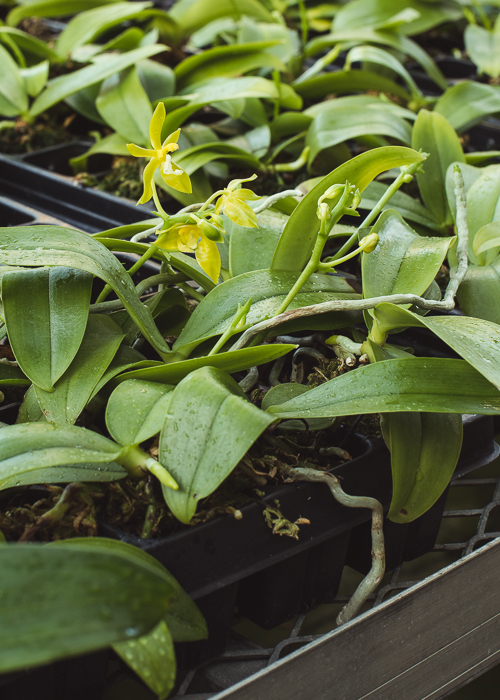 Phalaenopsis mannii f. flava seedlings produce their first flowers while still in trays. 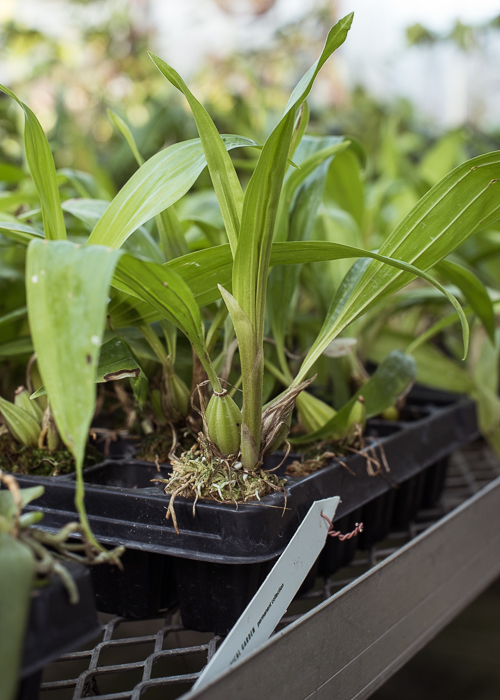 We produce seedlings from species collection in order to rejuvenate our collection, to create material to install in our display areas, and to get rare material into the hands other botanical gardens and universities. As with baking, half the fun of creating is sharing.